Q. What is so special about your offerings and how does it help your clients? Our core philosophy is to innovate in a sustainable manner. More than 20 mn people have benefited from our Access to Energy offers/ Our Planet & Society barometer reached 8.48/10, outpacing the year-end 2016 target (7.5/10). For the first time since inception in 2001, we joined the FTSE4Good Global and Europe indices. We support and challenge partners to reduce their own energy consumption by 30% through active energy efficiency solutions. Schneider Electric aims to change lives of people at the base of the pyramid by providing access to clean energy or by helping to alleviate fuel poverty. We do so by delivering connected energy and efficiency solutions in more than 100 countries. As the global specialist in energy management and automation, Schneider electric is at the forefront to leverage opportunities from today’s megatrends of industrialisation, ubranisation, and digitisation. 2. Improved, productivity, precision and efficiency – We serve the increasing need for automation as a proven way to help customers thrive. Customers have asked for improved productivity, precision and efficiency. We are answering those needs. 3. Digital transformation of customers – We innovate at the convergence of operational technology (OT) and information technology (IT) to deliver ‘Innovation At Every Level’. We create new opportunities that create customer’s lives easier, increase productivity and create new business models. 4. Expanded presence in new economies – We are expanding ourseleves in new econoies to leverage opportunities, to respond to ever-growing energy, infrastructure and industrialization needs through dedicated efforts. 5. Two complementary business models – We continue to advance both product and solution business models to create new opportunities for customers, distributors, and direct partners as we work together to improve efficiency everywhere. 6. Responsible, sustainable growth – We care about profit but only within the hand-in-hand context of responsible sustainable growth that nurtures concrete efficiency improvements based on our trusted research and development. Coming back to our digital architecture EcoStruxure. It is an open, interoperable, IoT-enabled system platform that delivers enhanced value around safety, reliability, efficiency, sustainability, and connectivity. It leverages advancements in IoT, mobility, sensing, cloud, analytics and cybersecurity to deliver Innovation at Every Level. This includes Connected Products, Edge Control, and Apps, Analytics & Services. EcoStruxure for Data Center and Networks offer Solutions and services for data centers to ensure IT systems are highly available and efficient. Q. What are the key verticals that you believe can yield great returns for the company? Schneider electric’s IT Division offers span across different technologies, environments and segments, both in the IT application area and Industrial application areas. These environments span from Home and Business networks, Server room/IT room, Edge computing, Datacentres, Industries with critical process automation application areas, for example healthcare, Semiconductor, Oil and Gas, Food and beverages, Smart Buildings and Smart cities too. The next wave of data center improvement will be driven by the need for connectivity and using technology to enable our customers to effectively manage inherently complex environments. While in the past we focused on improving the management of one facility, the emerging ecosystem of hybrid cloud computing has shifted the management of your infrastructure into an exercise of managing multiple facilities with virtualized environments. Hence, we are moving beyond just providing the software tools and architectures, but are embarking on what we believe is a new integrated system between IT and OT. This will include the underlying digitalised services to simplify the ecosystem and ensure the industry is being responsible with its use of energy. A consumers’ appetite for information is insatiable and exponential, yet our resources are limited and precious. Our moral obligation is to ensure Schneider plays a role as a leader to bridge this gap. We are one of the only company with the portfolio to play this role. With this philosophy, we think the biggest opportunity for the industry has to do with utilizing the vast quantities of data enabled by IoT combined with Big Data analytics as a catalyst for the next wave of innovation. With the emerging technologies we are introducing, we can go beyond just instrumenting a data center and providing data to the data center operator. We can now consolidate millions of data points every minute from multiple data centers and use sophisticated data mining tools to spot trends. Not just in one data center, but in the hybrid ecosystem as whole. Q. Why Data Centers and Networks are a high potential market for Schneider in India and how can it play a major role in supporting the IT industry. Increasing reliance on data by organisations, emphasis on optimization of business processes and Digital India initiative of the Government are anticipated to increase demand for data centers and networks in India. Added to that, is the rise in data usage due to smartphones, social networking platforms, e-commerce platforms, and government projects. India’s co-location and hosting market will generate almost $2 bn in annual revenue by 2019, up from just $1.3 bn in 2016, with most of the growth focused on the metropolitan centers of Mumbai, Chennai, New Delhi and Bangalore. As per 451 Research, 84% of the country’s data center supply is presently concentrated across its five largest markets: Mumbai, Chennai, New Delhi, Bangalore and Pune. Also, almost a third of all existing white space in the country is located in Mumbai, due to its status as a major financial hub, its population of 21 mn and coastal location, in close proximity to submarine cable landing stations. The report estimates a strong growth for the Indian public cloud market, which is expected to increase by a quarter every year through to 2021, reaching $1.02 bn in annual revenue. This is where Schneider Electric has a key role to play and can help in sustaining growth of data centers through its critical power solutions. By implementing integrated energy management solutions, one can potentially save up to 30% of the power requirement of data centers. Schneider Electric’s solution – EcoStruxure for Data Center and Networks ensures that IT systems are highly available and efficient. Q. According to you, what are the steps required to reduce carbon footprint of IT industry in India with reference to data centers? Let us look at the numbers. Data centers of today are major energy guzzlers. To put things in perspective, a typical data center consumes 3% of the global electricity supply and account for 2% of total greenhouse gas emission – which is almost equal to the carbon footprint of the entire airline industry put together. 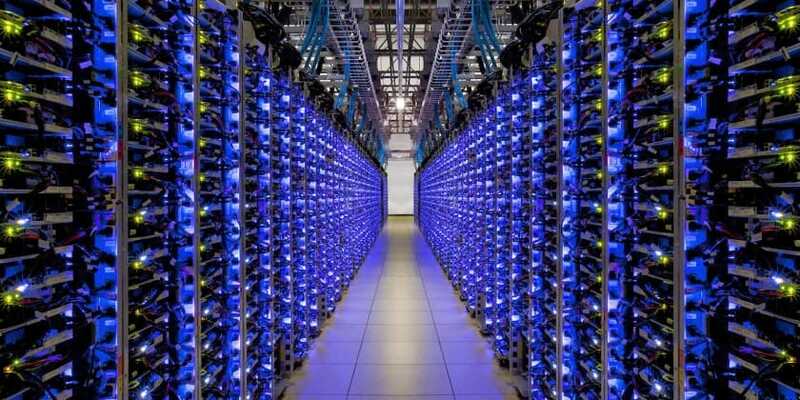 Inspite of several innovations in hardware that enormously increase storage data capacity, the amount of energy consumed by data centres is doubling every four years. It is projected that data centres will consume roughly triple the amount of electricity in the next decade. Since the highest percentage of energy guzzler in a DC is the HVAC, proper monitoring, management with a lifecycle approach is the best strategy to not just reduce carbon footprint but also increase the functionality, operational efficiency and uptime of the Data Center. Data center life cycle – Data centers are dynamic and constantly evolving and hence, it requires complete service solution to optimize its functionality from planning to operations, regardless of where it is in the life cycle. Understanding the bigger picture – what occurs in each of the phases, what the key management tasks are, what pitfalls exist, and how one phase impacts the next – can help organizations achieve their data center cost, speed of deployment, availability and efficiency goals. Our expertise is gained from commissioning thousands of data centers across the globe. We provide on-site and remote resources to maintain and optimize your data center infrastructure for every component in the rack, row and room.Schneider Electric provides more maintenance, operation, monitoring and optimization services than any other company. Maintain: A comprehensive services portfolio is available to ensure your critical applications receive proper care and maintenance, to operate at optimal levels at all times. Operate: Schneider Electric provides multiple offerings based upon our proven methodologies and comprehensive procedures. Monitor: A continuous on-site or remote data center enables you to anticipate, identify and resolve issues faster, and with greater accuracy, while retaining visibility and control. Optimize: Ensure your data center is optimized for the highest-possible performance. Q. What are the government-related initiatives in which Schneider is heavily focusing, especially in the context of Digital India? Digitization is something we are focussing on bullishly. Digital transformation is at the core of our strategy, and we are committed to catapult this journey through our customers and partners. Internet and Digitisation are changing the way we work and play and are also creating opportunities for new services. Businesses are increasingly digitizing their operations and expect a complete digital experience from their suppliers, from ordering to customer service. There are multiple factors that are prompting the growth of the Indian IT segment and vis-a vis the data centers in the country. The avalanche of data with technological advancements, government initiatives like Digital India, Startup India, Stand Up India, adoption of JAM (Janardhan, AADHAR, Mobile), and the roll out of the national optic fiber network are providing a fertile ground for data center business in the country. Also, new technologies such as Big Data, Analytics, Software-Defined Everything and Internet of Things (IoT) have led to accelerating demand of data center consolidation and virtualization. In the wake of burgeoning interest in the Internet of Things (IoT) and digital business transformation, new opportunities are set to emerge and associated risks will need to be dealt with. Doing so will involve high levels of cooperation between IT and the groups managing the operational technology (OT) monitoring or controlling the physical devices and processes in the enterprise. With IT/OT convergence, products will now be connected and can be remotely controlled to optimize operations. This will result in the feasibility of implementing active energy efficiency which in turn will create new business models and new opportunities in the domain of smart products, systems and services such as smart grids and smart factories. Schneider Electric’s Solution for Data Center and Networks Ensures that IT Systems are Efficient 0 out of 5 based on 0 ratings. 0 user reviews.